Today our very talented Tonya and Mary Ann are being featured on the Riley Blake Designs "Cutting Corners College". 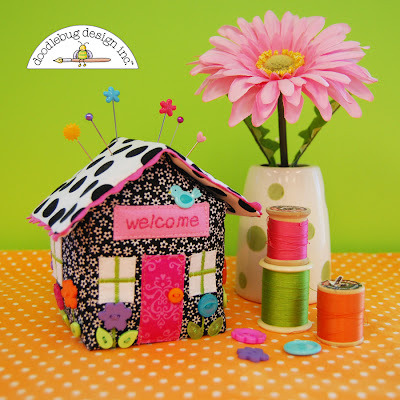 These two amazing Doodlebug team members created this darling Pin Cushion Cottage. Be sure to hop over the the Cutting Corners Site and check out the step by step instructions with free pattern sheet. That is just too adorable! Love it! This is so very cute! 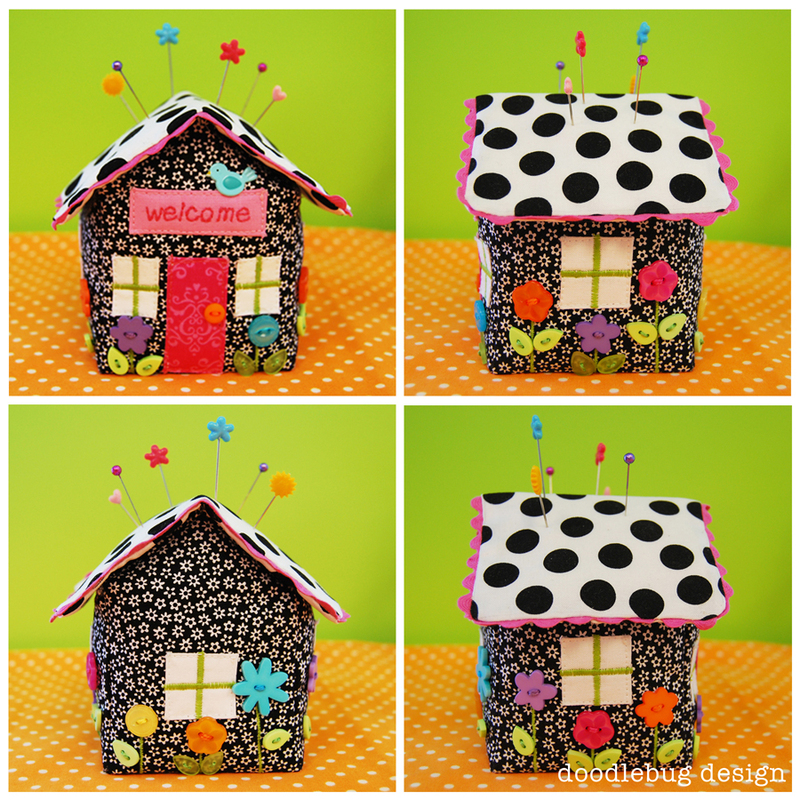 I will be making myself a cute little cottage, too. Oh so darn CUTE! Love it! And that little blue bird...one of my all time favorite Bradies! This is SOOOO cute!!! Such a great idea!!! 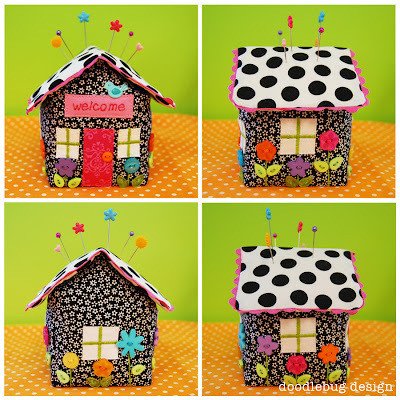 Ohhhh what a darling little cottage!!!! LOVE it! What a fun project. Headed to their website now for the pattern. I just found the special thing to make 3 Christmas presents. Oooo. 3 down and 13 to go!. Thanks for such a spectacular gift idea. Awww! So darling! Love it! These are so cute! I want to make one!